 HOPE Buffalo is offering a selection of innovative mini grants that promote positive youth development, engagement and adolescent health in the Buffalo community. Applicants are strongly encouraged to be creative, think outside the box, and propose activities that showcase youth skills, talents, and interests, including the arts. This is a great opportunity to engage youth in civic action and make positive impact on the city of Buffalo. HOW MANY GRANTS ARE WE OFFERING? Eligible applicants must submit their proposal by April 22, 2019 11:59PM EST. Be specific about how you will utilize these funds to support meaningful, authentic youth engagement best practices, not tokenism. Complete an application, and we will get in touch with you shortly.